VANCOUVER, BC--(Marketwired - July 17, 2017) - The BC Association of Farmers' Markets (BCAFM) is inviting summer travelers to explore over 145 BC farmers' markets across the province this summer. Wherever your travels take you, there is a local farmers' market with fresh, in-season food, local artisans, and unique festivities to be found. Begin your adventure with this Market Finder tool which lets you search for a local farmers' market by date and location, in all nine regions of BC -- from Northern BC to the Sea to Sky and everywhere in between. "Without a doubt, British Columbians are passionate about what we eat and where our food comes from," notes Heather O'Hara, BCAFM Executive Director. "This year, through our summer campaign, BCAFM is celebrating the array of unique farms and farmers' markets across BC. We are also encouraging people to discover what farmers' markets in all regions of the province have to offer. Supporting BC farmers and sustaining our local food supply means ensuring we have land to farm and fresh food to eat. It's a way to nurture the place where we live and visit. What better destination could you include in your summer travels than a visit to a local farmers' market?" "Each year, I meet a growing number of people who come to the farmers' market as part of their summer travels. They talk about how each farmers' market they visit gives them a sense of the local bounty of BC's communities. They come because it's a fun destination to meet and support local farmers, and stock up on fresh, delicious food for their travels, too," explains Paige Dampier, farm vendor from Close to Home Organics. Simply follow BC Farmers' Markets on Facebook or Instagram and snap and share a photo of any of the 145+ BC farmers' markets with the hashtag #BCFarmersMarketRoadtrip. Each week a winner will be randomly selected to win a $50 gift card to a BCAFM member farmers' market of their choice. From July 17th to August 18th, 2017, all BC residents 19 years of age and older are eligible to enter. Take a #BCFarmersMarketRoadtrip this summer for a chance to win a $50 gift card to your favourite BC farmers' market! Simply follow BC Farmers' Markets on Facebook or Instagram + share a photo of one of the 145+ member farmers' markets with the hashtag by Aug. 18th. Weekly prizes will be drawn every Friday! 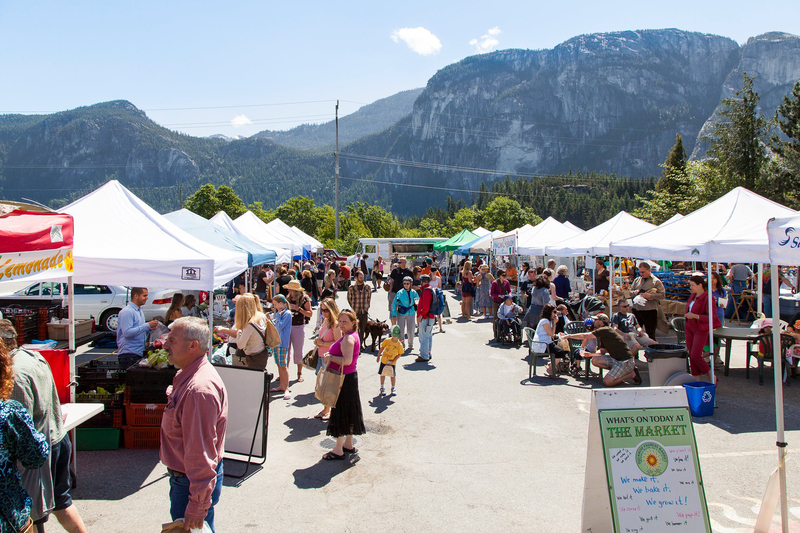 Funding support for the #BCFarmersMarketRoadtrip campaign is provided, in part, by the BC Government's Buy Local Program; delivered by the Investment Agriculture Foundation of BC with funding from the BC Ministry of Agriculture, and Vancity. Discover BC Farmers' Markets this summer.